Cubist art, the birthplace of counter culture and structured formalism: new niche sunglass makers take inspiration from sources far and wide. Although he lived most of his life in France, Juan Gris was born in Madrid. La Mujer Sentada (Seated Woman) forms part of the collection at Museo Thyssen-Bornemisza – one of the city’s most revered art houses. When approached to create a collection of ‘Made in Madrid’ eyewear exclusively for the museum’s shop, the young company Nina Mûr looked to La Mujer Sentada. ’The depth and palette of colours in the painting are perfect for what we wanted to do,’ explains Davide Fichera, co-founder of the company. His background is in furniture making, and his partner Lorena Serrano Peinado comes from a family of opticians. For this collection, they turned to the artist-designer Gala Fernández to hand paint the oversized wooden frames in the muted tones and oblique lines recognisable to the cubist masterpiece. 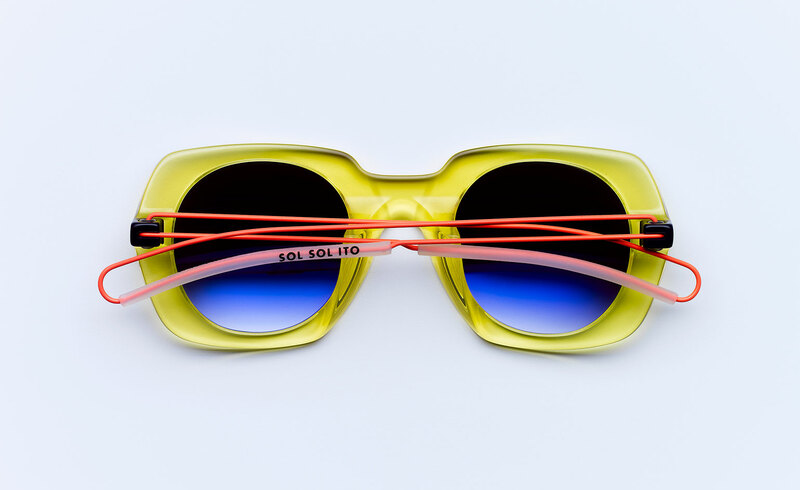 ’Our brand name refers to Sausalito, the little beach next to San Francisco,’ explains Monika Fink, one half of Zurich-based Sol Sol Ito. ’We always had an affinity for this area – although we are very Swiss.’ One summer, together with her business partner Sandra Kaufmann, she was cycling from the beach to Haight-Ashbury, when they came across a young man seated on the sidewalk, banging out poems on an old typewriter. One of his proses, extolling the summer breeze and of ‘beauty way to nice to be bothered with the toils’, became inspiration for their brand. Described as ‘sunglasses for pleasure-seekers’, their frames are made from high-quality, high-gloss acetate and feature patent-protected, twin steel detachable and interchangeable arms. Already winners of several accolades – including a recent German Design Award – Swiss precision is as much as part of their DNA as the youthful and radiant mood they instantly create. London-based Blyszak has ridden the current wave for round eyewear as well. A self-confessed eyewear obsessive, Andrew Blyszak started his company after the arms of his beloved flea market frames finally fell off. Handcrafting, uncommon materials and classic forms are his guiding principles. 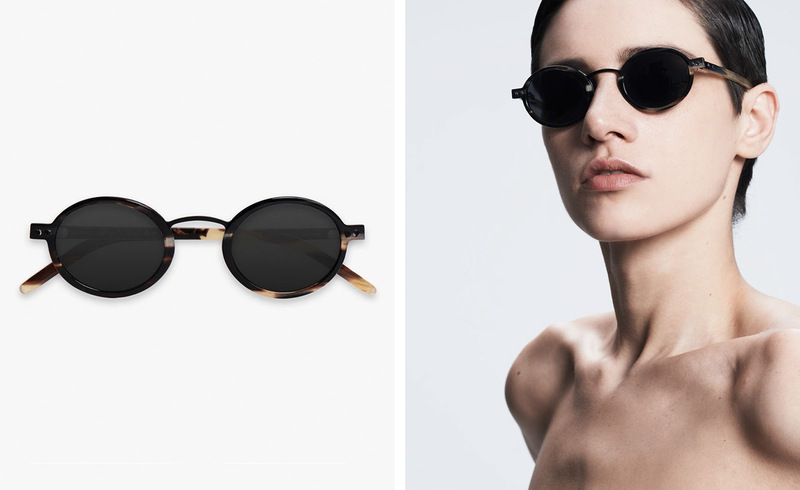 Blyszak’s frames are crafted in metal and ethically-sourced water buffalo horn; either standalone or combined into striking frame and arm combinations. The company’s third collection, which will hit haute eyewear retailers in January 2017, sees the same imaginative pairing and a bold new square format. For metals, moss green has been added to the mix of matte black, brushed silver and YSL blue. But it’s the horn that bucks the trends. The material is hand-pressed over three days to ensure longevity and is used for the nose pads as well, creating a seamless form and fit.